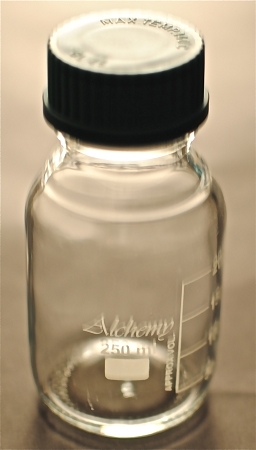 Good bottle for storing samples and small quantities of reagents. It's sturdy and seals fairly well, though for air-sensitive samples I recommend putting teflon tape and/or parafilm before srewing on the cap. The writing area is a bit small, but it's easily written to and it retains pecil without fading. It's also cheap for the size and quality.